Self Cure Remedy details of Apply honey for the care and relief of Bee Sting, including effectiveness and popularity scores of the remedy. 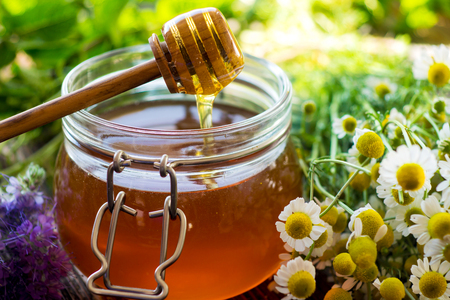 Honey may help with wound healing, pain, and itching. Apply a small amount of honey to the affected area. Cover it with a loose bandage and leave it on for up to an hour. The self cure remedy of Apply honey for the care and relief of Bee Sting has an effectiveness score of 3.8 and a popularity score of 56 on the self-cure system.